The shooting victim from the Homicide in the 700 block of Reese Creek Road has been identified as 39 year-old Stephen M. Rowe of California. Detectives continue to investigate this Homicide and information will be released as it becomes available. 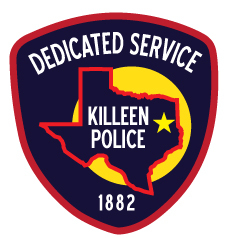 On September 28, 2017, at approximately 12:00 p.m., Killeen Police responded to the 700 block of Reese Creek Road, near the Maxdale Road intersection, in reference to a man down call. Upon arrival, officers met with a U.S. Postal Carrier who was delivering mail in the area. The mail carrier reported that he was traveling westbound on Reese Creek Rd and observed the person lying in the roadway. The male subject was deceased and had an apparent gunshot wound. The victim is a black male, approximately 30 years old, and has not been positively identified. The victim was pronounced deceased by Justice of the Peace Claudia Brown. An autopsy was ordered. Additional information will be released as it becomes available. Detectives are asking anyone who has information about this case to contact Crime Stoppers at 254-526-TIPS (8477) or go online at www.bellcountycrimestoppers.com or text BELLCO along with the tip to 274637. Text HELP to 274637 for help with the tip or text STOP to 274637 to stop the tip. Message and data rates may apply. All information is anonymous and confidential; if your tip leads to the arrest of the person involved in this case you could be eligible for a reward up to $1,000 in cash.